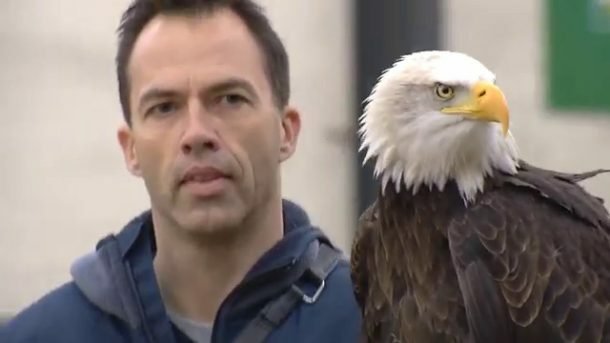 The Netherlands Police has released a video showing an eagle swoop down and take out its prey in mid-flight. However, the prey is not another avian; rather it is a drone. The eagle grasps the drone in its pointed talons and returns to the ground with the prey in its grip. 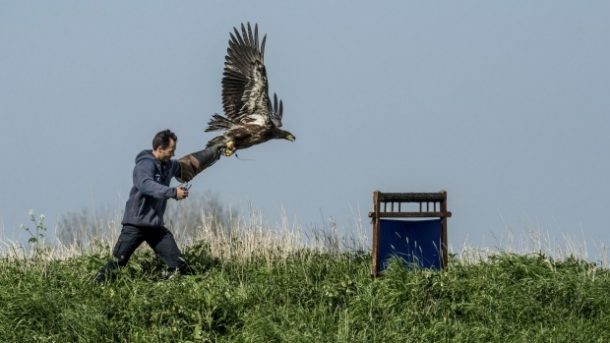 The Dutch police have teamed up with an enterprise called Guards From Above to train the hunting birds at a non-operational military airfield. Eagles are being trained to effectively employ their natural hunting instincts to intercept and capture the drones. This project was launched to fight the security threats associated with the drone proliferation. The threats related to the unmanned aerial vehicles include dangerously close contact between the aircraft and the drones, unauthorized surveillance, and perilously low flights during coverage of any event. The major advantage of using eagles to fight the threats posed by the drones is that they safely bring down the drone, instead of causing it to fall below and causing any damage to those underneath it. Mark Wiebes, a detective chief superintendent in the Dutch police, is quite optimistic about the results of these test flights. Meanwhile, the Metropolitan Police Service is also thinking of employing the eagles to fight the UAVs.